To pass, the Senate must unanimously vote approve the bill, and then President Trump gets to decide whether to sign it into law. We can only hope our dear leaders move beyond their partisan politics in order for space coins to happen. H.R. 2726 emphasizes that these commemorate coins “will not result in any net cost to the United States Government,” so hopefully it will pass. The bill necessitates the treasury create $5 gold coins, $1 silver coins, and half-dollar clad coins. The treasury will sell the coins with a $10-$50 surcharge, depending on which one you want. The proceeds will benefit the Smithsonian Institution’s National Air and Space Museum’s “Destination 3 Moon” exhibit, the Astronauts Memorial Foundation and the Astronaut Scholarship Foundation. The main issue with all this is that if we’re going to make space coins, we ought to include currency people use more frequently. 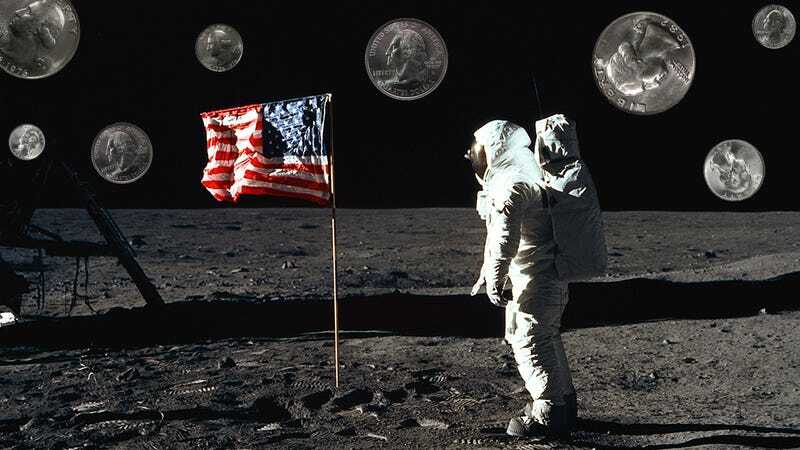 Imagine a world with a space penny, a space nickel, a space dime and a space quarter. In the ideal vision of America, space coins are a right, not a privilege.